There's a nice tutorial on Photoshop Labs called Web 2.0 Design Kit that shows you how to create some of the more popular "Web 2.0" design effects using Photoshop. You'll learn about Gradients, Reflections, Soft Shadows - everything you require to create Digg or any Web 2.0 style graphic images. Rounded corners are not covered yet but they are coming in the part II. 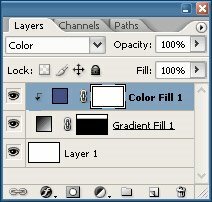 Again, since this Web 2.0 tutorial uses standard Photoshop tools, it should also work for Gimp users.